You do not have to wait for an offer. I prefer to fly and buy your ticket with the Airline KLM. A Dutch well trusted airline which is flying directly to Venice Marco Airport. Otherwise, you have to choose which airline you want to fly. And so on which airport you arrive. Know that RyanAir flies to Treviso Airport and that you have a connection to Venice for one hour with a shuttle bus. And your accommodation? A cheap hotel or a B & B? 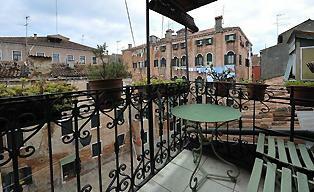 All you can control yourself, so why not book your nights in Venice by your self! This way is how I do it. Already in Italy? 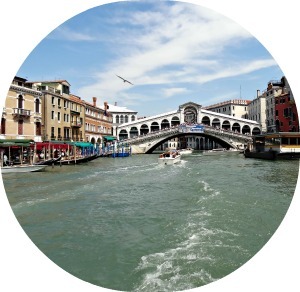 Get Information about Tours to Venice over here. It doesn't matter where you are in Europe or Italy. There are in total 23 tours which will go to Venice. Great you have these tips, why I have to spend my holidays in Venice Italy? Or even a weekend..? I got my best holiday feeling when I noticed there are no cars!! No bikes are any vehicle. This experience has made my holiday in Venice Italy very pleasant. 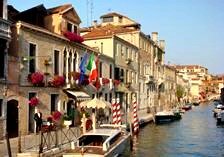 Explore the city on foot, take a gondola ride or take a seat on a square and hide behind the alleys. I will give you some highlights below. The impressive Piazza San Marco is the heart of the city and the start of most holidays in Venice Italy. This square is very impressive because of the imposing facade of the basilica, a tourist attraction itself. The Basilica of Venice has up to five impressive domes and is richly supplied with arches, turrets and other decorations. Be surprised by the treasury (tresoro) and the rich collection of the Basilica. I was impressed by all the silver, gold, gemstones and elegant glassware. Even when there is a big row of many tourists, it's worth it. The Rialto Bridge and its own Rialto market are worth a visit. The Rialto bridge connects both banks along the Grand Canal and offers a great view. From here you can be impressed by all the gondolas, boats and other traffic passing by in this beautiful scenery. 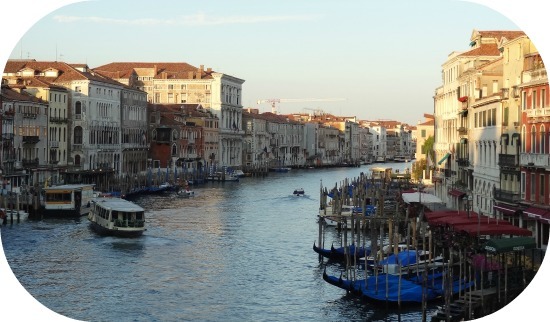 You will find near the Rialto Bridge many shops and a fish market. Everything is at walking distance. This convenience area makes it the commercial heart of the city. It's easy to spend half a day here, exploring the market and more. Venice is the city with its many canals and beautiful architecture. It has 117 islands, 400 bridges, and 160 channels, all connected. And yes, what’s more, romantic than a ride on the gondola under the bridge of sighs? Holidays in Venice Italy are an ideal opportunity to discover hidden charms in this historic and unique city. Every street or canal has its character and personality. I gave you some highlights about holidays in Venice. I have some suggestions, as you will read. Please click on the links to explore my site more and get more information about the different topics.